Canada’s authors and publishers—represented by Access Copyright—are ready and willing to negotiate. And if negotiations fail, we will respect the decisions of the Copyright Board. Last month, Laval University and Copibec, Quebec’s copyright collective, reached an amicable settlement concerning the unlicensed copying of copyright-protected works at the university. For Canadian writers, illustrators, photographers, and publishers, this is fantastic news. We ask the Government of Canada to seize this moment to encourage a similar settlement between Access Copyright, the Canadian copyright collective outside of Quebec, and universities and colleges outside of Quebec that receive federal funding. This might be the leadership provincial education ministers outside of Quebec need to see to take the obvious and necessary step of re-licensing the K-12 sector. Universities, colleges, and schools in Canada, outside of Quebec, can make large scale, and sometimes, systematic use of digital and paper copies of copyright-protected materials without compensation to copyright holders. The damage measured in lost revenues to publishers and authors has been massive, in the tens of millions of dollars per year in licensing fees alone. There’s also untold lost sales because of the problem of competing with free copies made without permission. This means Canadian authors and publishers can’t afford to create Canadian resources for Canadian schools and universities. It means jobs have been lost, and fewer Canadian students will find work in creative professions and creative industries in Canada. It means that Canada is not meeting its international obligations with respect to copyright. 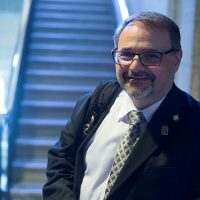 In Quebec, before the recent agreement between Copibec and Laval, the whole grade school and post-secondary sector except for Laval was already licensed. In the rest of Canada, with very few and small exceptions, the whole education sector has avoided licensing and thumbed its collective nose at mandatory tariffs. The education sector says it’s impossible to negotiate with Access Copyright. But the truth is, they won’t even try. Emboldened in 2012 by the inclusion of education as a purpose for fair dealing in the amended Copyright Act, they have not made meaningful efforts to resolve this. Although a Federal Court decision in July 2017, known as Access Copyright vs. York University, describes their shared copying policies as unfair and confirms that Copyright Board tariffs do indeed need to be paid, they continue to rely on illegal copying, and continue to recommend it to their staffs and students. York is appealing the decision. The problem is not Access Copyright. Canada’s authors and publishers—represented by Access Copyright—are ready and willing to negotiate. And if negotiations fail, we will respect the decisions of the Copyright Board. The problem is that Canada’s universities, colleges, and education ministers outside of Quebec refuse to enter into meaningful negotiations, despite many invitations to do so. They appear to prefer to fight a legal war of attrition against Canada’s publishers and authors that they will win if no one steps in, because the education sector is the side with deep pockets. 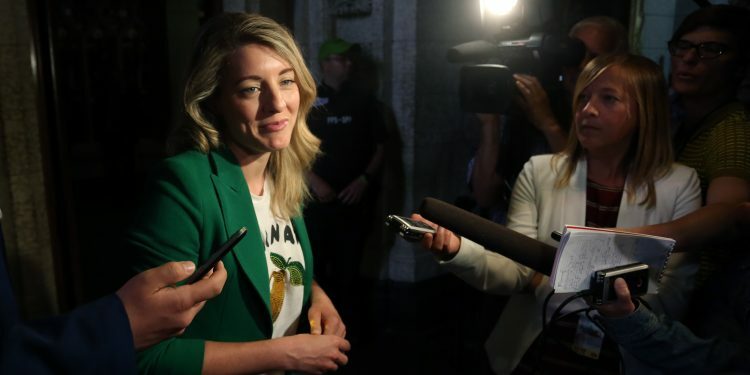 Two MPs–Heritage Minister Mélanie Joly and David Lametti, parliamentary secretary to the innovation minister–are particularly well positioned to observe the Quebec example, and to encourage the universities, colleges, and education ministers in the rest of Canada to get to the bargaining table. Their respective departments have joint responsibility for copyright, and they have the opportunity for real leadership in settling the copyright disputes that have done so much damage to the creative sector since the amendment of the Copyright Act in 2012. By exercising that leadership, they’ll ensure the future supply of economical, professionally produced, Canadian educational resources, and the sustainability of a creative sector that will employ many of today’s students in the future. The Copibec/Laval rapprochement in Quebec puts the writing on the wall: collective licensing is the obvious simple solution to this damaging situation. It is fair, inexpensive and convenient. It requires no change in behaviour by researchers, instructors or students. We ask Ms. Joly and Mr. Lametti to use all of their influence and good offices to bring this solution to the rest of Canada. Glenn Rollans is the president of the Association of Canadian Publishers.